2016 Fathers Day gifts. Dad is the superhero in our life, he offers us endless care and protection. This June, don’t forget to celebrate Father’s Day with your superhero at home. Get him a gift and shower him with much love. 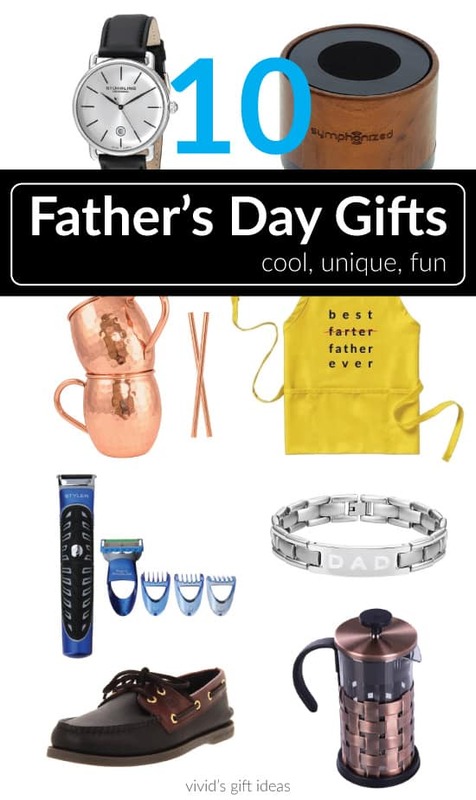 Need gift ideas for dad? Scroll down to discover our collection of 10 best gifts for Father’s Day. 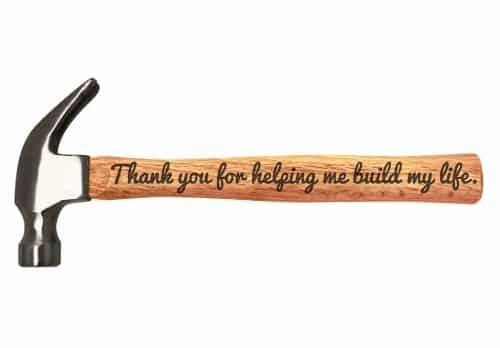 Let’s start with saying thanks to daddy with this special hammer. It is a solid and functional tool made of steel head with hardwood handle. Each handle has its own unique wood grain and it is beautifully engraved with sentimental words. A meaningful gift you can get for Father’s Day. Next, let’s take a look at electronics for him. 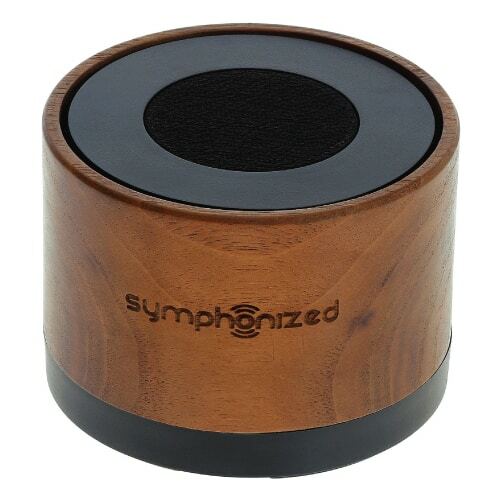 This mini wood speaker is a really cool gadget. Portable, light, powerful. Handcrafted from a solid one-piece wood, it plays loud and crisp music for up to 6 hours. An amazing bluetooth speaker with nice sound quality and good-looking design. 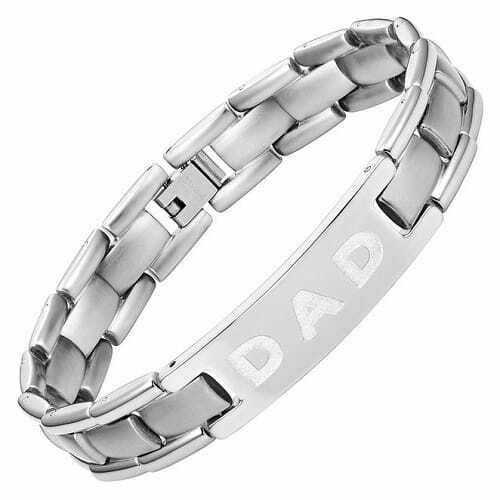 2016 Father’s Day, you can also get this stylish bracelet for your dad. Hand crafted from quality titanium. It is engraved with “DAD” at the front and “Love You Dad” at the back. Something fun for dad who loves grilling and cooking. 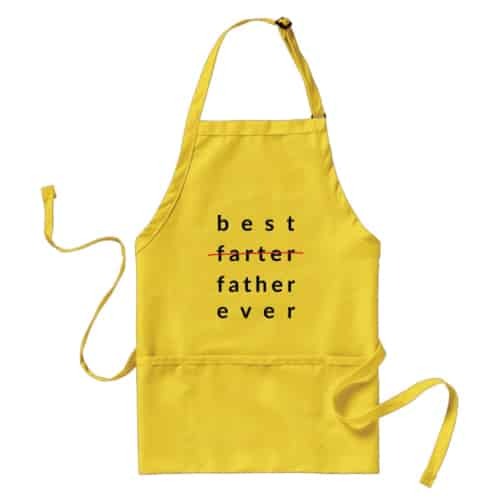 A yellow apron with bold statement that says “Best farter ever, nope, I mean best father ever”. Eye-catching and hilarious. Gonna make dad laugh for sure! Celebrate Father’s Day at outdoor. Let dad lounge at the backyard. 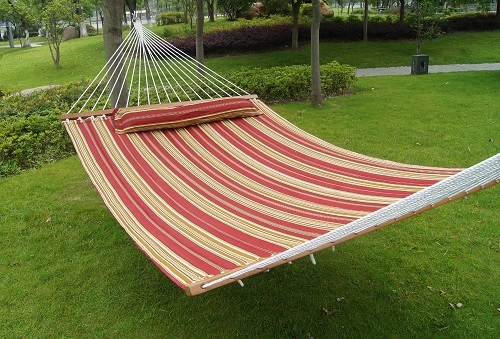 Get him this large hammock that fits up to three people. Striking colors, good quality, weather resistant. 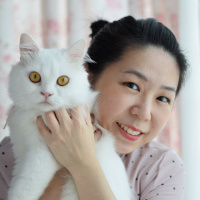 It feels soft and comfortable, perfect for napping and relaxing. 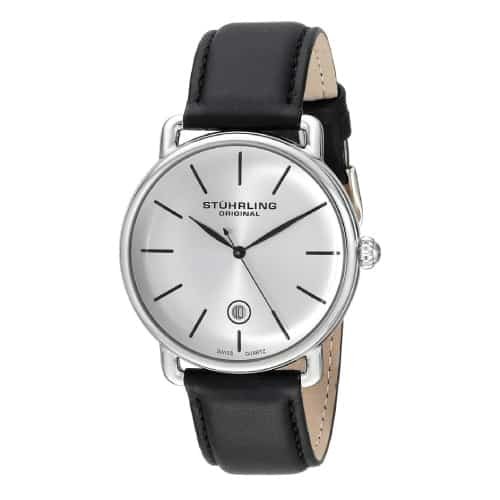 This beautiful watch by Stuhrling makes one of the best Father’s Day gifts. Featuring white dial, stick markers, steel case and black leather strap. Its minimalist style is clean and classy. Matches well with any formal or casual outfit. A sophisticated timepiece that dad will definitely love. Men’s grooming is another good gift for dad. Gillette Fusion ProGlide Styler is an excellent choice. It is a three-in-one styling tool for face or body. Cordless, versatile, and powerful. 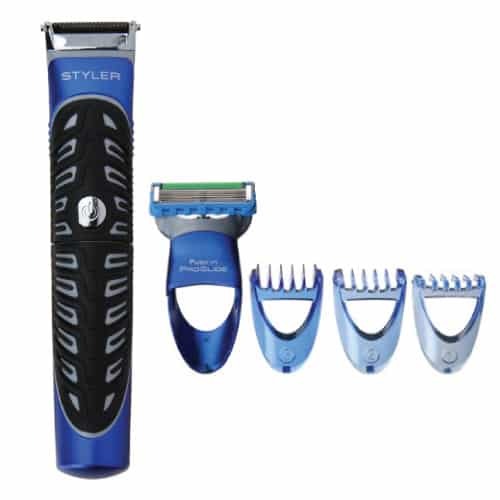 The slim design makes it easy to maneuver for close shave, trim, and detail. 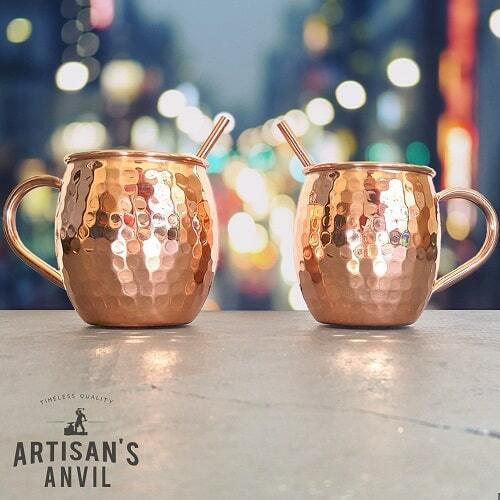 A set of awesome Moscow Mule mug that makes one of the best Fathers Day gifts for husband. Well made from 100% copper. It is solid, heavy and sturdy. Design with large handle with lovely hammered finish. Comes with copper straws. Great for serving cold drinks. 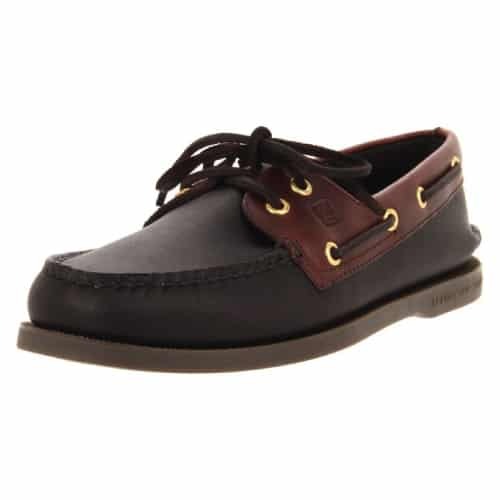 Good-looking boat shoes that men love. By Sperry Top-Sider. Rich leather, comfortable. The simple and classic design never goes out of style. Dad who loves coffee will be impressed by this handsome French Press. 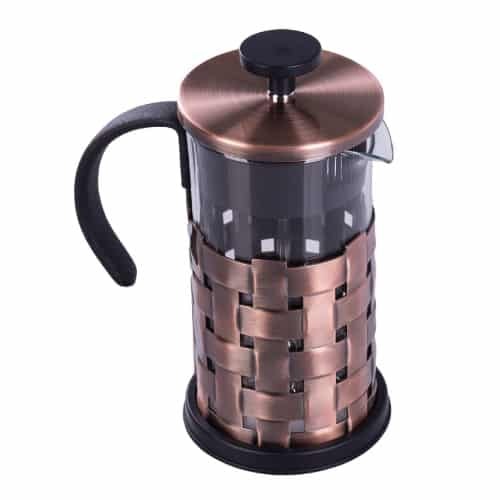 Features shatter-resistant carafe, fine stainless steel mesh screen, and comfortable handle. It extracts all of the essential oils from coffee grounds to brew the most flavorful cup of coffee. We have come to an end of our list of 2016 Fathers Day gifts. Thanks for reading and have a great time with dad this Father’s Day.